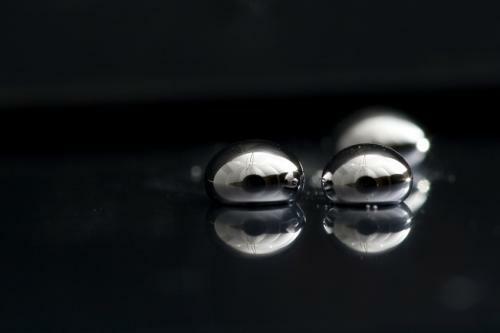 Monitoring mercury is the costliest of all pollutants. Indian industrialists are of the view that instead of monitoring, mercury emissions can be computed based on percentage mercury in fuel. Do you agree? Costs are relative certainly. While some types of mercury monitoring can be expensive, not all of them are. Emissions can be estimated based on mercury concentration in coal. However, mercury (Hg) from the outflow of gases cannot be determined because you do not know how much of the element is removed by any pollution removal processes, nor do you know what forms the mercury gases are in (elemental, gaseous oxidised Hg, or particulate bound mercury). This has to be measured. And the emission rate of the different mercury fractions are important since some are water soluble and can be removed quickly, some are not water soluble and will remain in the atmosphere for a long while, and particulate bound mercury could be deposited very quickly. Can you give us some ball park costs of mercury measurements in ambient air, water and surroundings, monitoring at stacks? Wet deposition monitoring in the US for weekly samples is about US $9,000 per year. The basic equipment for monitoring ambient mercury at levels in the atmosphere (like nanograms per cubic meter and lower) is very expensive, touching $120,000. There are passive monitors that are much less costly, but they are yet to be proved accurate. However, they are getting closer to being good enough to deploy. I would think that these would cost $2-300, are reusable. Analysis costs would also be involved. There is also a higher concentration Lumex instrument that can measure microgram per cubic metre (ug/m3) concentrations. These are used in higher concentration environments like industries. Not sure of the price, but these are available too. Which of the two would you recommend to scale up in India – mercury concentration monitoring in ambient air, water and surroundings or monitoring at stacks? Why? To ramp up emissions monitoring, it will take some time and funding, and will likely take federal environmental laws to mandate it. I am not sure that is going to happen very quickly. However, deposition monitoring is relatively inexpensive and can be started quite rapidly. Therefore, it would seem that this direction is the best to ramp up first. How many sites you would recommend ideal to monitor to understand mercury concentration levels in India? For all of India, and for wet deposition, a network of maybe 20 to begin with, would be ideal. Precipitation and deposition vary, generating the need for a lot of observations. Currently, there are 115 sites in the US, and there are holes in our network. So a good organised network of 20 would be a great start. Brief us about the National Atmospheric Deposition Program (NADP) and how Asia Pacific Mercury Monitoring network evolved? What have been the upsides and downsides, challenges and the strategy you are evolving to expand your network? The NADP is a precipitation monitoring network that has been operating in North America since 1978. It is known as the Acid Rain network of the US, because its original designed purpose was to measure pH of rain and the analytical components important in this problem. The programme has grown to 5 different networks measuring different chemical components, and now including the Mercury Deposition Network (MDN) and mercury deposition. The APMMN effort grew out of NADP meetings, and scientists’ need for information on the mercury problem in Asia. There is very little data coming out of the region, and the mercury sources in Asia are estimated to be the highest in the world. Therefore the idea to develop this network came out of discussions with Dr. Guey Rong Sheu, National Central University in Taiwan (an NADP member and mercury scientist). We began a series of meetings to discuss the mercury problem in Asia. The idea of developing an NADP-style network was based upon the MDN in the US and Dr. Sheu’s mercury network in Taiwan. Over several years, we developed a network of participating countries and agencies, along with basic funding from Taiwan. We began sampling last year. We capture samples of precipitation before it hits the ground, and perform chemical analysis to measure the amount of mercury in the precipitation, then using how much rain fell, we can then calculate the deposition rate, or flow of mercury to the ground. The APMMN makes weekly samples of this type, to determine mercury concentration in precipitation (nanograms of mercury per litre of precipitation), and the deposition rate (ng mercury per square metre of ground per week). More on the network can be found here.